Could sugary drinks reduce life expectancy? Anyone who has been on a healthy lifestyle plan knows that you should try not to drink your calories. This is because you want to cut calories wherever you can to lose weight. However, cutting out those sugary drinks are not only helpful in weight loss, but also in cutting your disease risk. In fact, a recent study found that those who drank less sugary drinks had a lower risk of chronic diseases and early death as compared to those who drank sugary drinks often. 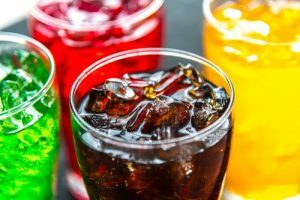 What is considered a sugary drink? A sugary drink can be anything from processed colas to fresh squeezed juices. Here are some examples of sugary drinks you should limit in your daily routine. Sugary drink intake has been linked to cognitive impairment, obesity in children and adults as well as dental caries. Also, some research shows that sugar-sweetened beverage intake may be linked to heart health issues. One recent study looked at the impact of sugary-sweetened beverage intake on health. Study results show that those women who drank sugary drinks more than two servings a day had a 63-percent higher risk of early death than those who drank less than one serving a month. Also, by looking at the same factors in men, those who drank more sugary drinks had a 29-percent higher risk of premature death than those who drank less. Researchers suggest that this risk of premature death comes from chronic diseases linked with sugary drink intake. For example, those who drink more sugary drinks may have overall poorer diets. In turn, this may lead to a greater risk of obesity. Then this increase in body weight may increase risk of obesity-related diseases like type 2 diabetes, heart disease, and stroke. Therefore, it’s these chronic diseases that increase the risk of early death in those that drink a lot of sugary drinks. Besides cutting down on sugary drinks, you can cut out sugar in your diet by following the tips below. Have healthy snacks on hand: If you’re not prepared with healthy snacks in tow, then you are more likely to walk to the vending machine for a snack. However, most convenience snacks are full of added sugar and sodium. Therefore, grab some portable fruit like bananas, apples, or oranges before you leave the house for work. Fruit may also contain sugar, but it’s natural sugar. Not to mention, that fruit also contains fiber and antioxidants that help reduce inflammation in the body and keep your gut healthy. Find alternatives to sugary drink options: Instead of energy drinks, reach for a cup of coffee with some almond milk. Or instead of a soda, try drinking a seltzer water infused with fruit like lemon or limes. Also, if you enjoy your coffee blended drink, just opt for sugar-free flavorings, skim or plant-based milk options, and skip the whipped cream and chocolate or caramel drizzle on top. Take a sugar control supplement: If you’re in the midst of trying to cut down on sugar in your diet, but need a little help, then try a glucose control supplement. Glucarex by Vita Sciences is one example of a natural supplement that can help you control your blood glucose levels. This is because Glucarex contains ingredients like chromium, alpha lipoic acid, and cinnamon to help naturally support weight loss, metabolism, and healthy blood glucose levels. Therefore, such a supplement could support any healthy lifestyle habits you are trying to make to improve your health. Know your numbers: By keeping track of your blood glucose, blood pressure, cholesterol, and triglycerides you can detect health problems before they start. Just be sure to visit your doctor often to have your labs checked at least once a year. However, you may have to visit more often if you have a family history of or diagnosis of chronic disease(s) already. Luger, M., Lafontan, M., Bes-Rastrollo, M., Winzer, E., Yumuk, V., & Farpour-Lambert, N. (2017). “Sugar-Sweetened Beverages and Weight Gain in Children and Adults: A Systematic Review from 2013 to 2015 and a Comparison with Previous Studies.” Obesity facts, 10(6), 674-693. If you’ve ever tried to eat healthy, which I’m sure most of us have, then you may have been told to eat more vegetables. This is a tried and true statement that is vital to every healthy lifestyle. This is because plant-based foods like fruits and vegetables are full of gut-healthy fiber and antioxidants. In turn, this helps to lower your risk of chronic diseases like heart disease and diabetes. That is why it may not be surprising that a recent study shows that a plant-based diet may help diabetes treatment. There are several ways you may view a plant-based diet. And you don’t have to be a vegetarian or vegan to reap the benefits of this eating plan. 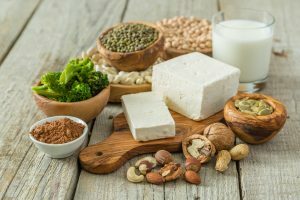 In fact, the definition of a plant-based diet is a group of eating habits that avoid eating most or all animal products and support mostly intake of fruits, vegetables, legumes, seeds, whole grains and nuts. Therefore, all you have to do is include a plant-based food to each meal or snack time. So try to pick a variety of colors of plant-based foods to reap the benefits of the vast array of antioxidants. There is a lot of research supporting the benefits of a plant-based diet. Research shows that such a diet can help improve mental health, heart health, quality of life, HbA1c levels, and body weight. It can also help people manage their diabetes. It’s thought that these health benefits stem from the antioxidants in produce that help improve gut health and decrease oxidative stress and related inflammation. 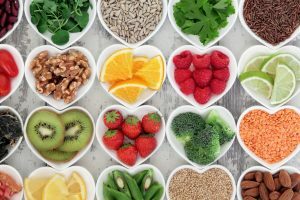 Also, plant-based foods provide a ton of nutrients like fiber, potassium, magnesium, folate, iron, and vitamins A and C.
A recent study looked at how the vegan diet may help those with diabetes. Researchers looked at the effects of vegetable-based foods on health versus animal-based foods. For sixteen weeks, 20 people with type 2 diabetes were fed either veggie-based burgers or meat-based burgers. Study results show that the tofu burgers enhanced post-meal insulin secretion more than the meat burger. This means that after meals, blood glucose levels did not rise as much in those on the plant-based diet. Also, the vegan meal improved beta-cell function, which produces, holds, and releases insulin. This is important since diabetes usually damages the beta-cell function in those who have the condition. Therefore, this study shows that a plant-based diet could help those with diabetes control their condition. Besides eating a plant-based diet, there are other things you can add to your healthy lifestyle to help control diabetes. Stay active: Exercise can help increase how sensitive insulin is and can help the body use blood glucose better for energy. Therefore, be sure to move as much as you can each day. This can be walking, cleaning house, walking around the market, or aerobics, to name a few. Every step counts, so just because you can’t work out at the gym, that doesn’t mean you can’t find other ways to stay active and control your blood glucose levels. Take medications: Many people with type 2 diabetes benefit from taking daily medications that help lower blood glucose levels. Some people may also have to take insulin to assist with diabetes treatment. Your diabetes healthcare team will look at your health history and current health status to find the medicine regimen that will work best for you. Add a daily supplement: A supplement like Glucarex by Vita Sciences can help control blood glucose levels naturally. Glucarex contains compounds like chromium, alpha lipoic acid, and cinnamon that can support healthy weight, metabolism, and blood glucose levels. See your doctor often: If you have a chronic disease like diabetes, it’s vital to visit your doctor more than once a year. During these visits, have your labs checked and have your medicines adjusted if needed. This can help you stay on top of your diabetes and lower risk of complications. Hever, J., & Cronise, R. J. (2017). 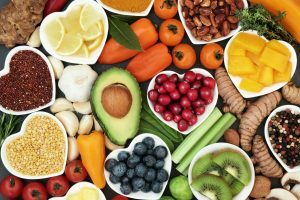 “Plant-based nutrition for healthcare professionals: implementing diet as a primary modality in the prevention and treatment of chronic disease.” Journal of geriatric cardiology : JGC, 14(5), 355-368. Kahleova, H., et al. (2019) “A Plant-Based Meal Stimulates Incretin and Insulin Secretion More Than an Energy- and Macronutrient-Matched Standard Meal in Type 2 Diabetes: A Randomized Crossover Study.” Nutrients, 11(3): 486. Kerley C. P. (2018). “A Review of Plant-based Diets to Prevent and Treat Heart Failure.” Cardiac failure review, 4(1), 54-61. McMacken, M., & Shah, S. (2017). “A plant-based diet for the prevention and treatment of type 2 diabetes.” Journal of geriatric cardiology : JGC, 14(5), 342-354. Toumpanakis, A., Turnbull, T., & Alba-Barba, I. (2018). “Effectiveness of plant-based diets in promoting well-being in the management of type 2 diabetes: a systematic review.” BMJ open diabetes research & care, 6(1), e000534. Could preventing or treating hypertension protect your mind? When you think of high blood pressure, or hypertension, your heart health may be the first thing that comes to mind. But what many may not realize is that blood pressure also relates to the health of your mind. It makes sense if you think about it. All the body’s tissues and organs require oxygen from the blood that flows from the heart. If something is affecting blood flow, then this can affect the health of many parts of your body. Let’s look a bit more at blood pressure and how controlling it can improve the health of your heart and mind. Hypertension happens when the blood flow in your vessels has to use extra force to travel though the body. There are several different causes of blood pressure. Some of these causes include high sodium intake, obesity, thyroid problems, or sleep apnea, to name a few. A person has hypertension if their blood pressure consistently reads at or above 140 mm Hg over 90 mmHg. The top number is the systolic blood pressure, or the pressure of the blood in the arteries during contraction. On the other hand, the bottom number is the pressure of the blood in the vessels at dilation, or in between contractions. It’s important to see your doctor on a regular basis so you can track your blood pressure. This is because untreated high blood pressure can lead to complications like heart attack, heart failure, or stroke, to name a few. By keeping your heart and blood vessels healthy, you ensure healthy blood flow all over the body, This includes healthy blood flow to the brain. According to the Centers for Disease Control, taking care of your heart can help reduce your risk of stroke and dementia. A recent study looked at a group of older adults at risk for heart disease but had no history of stroke or diabetes. 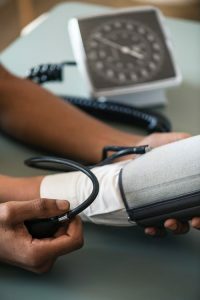 Researchers looked at whether intensive or standard treatment for hypertension could improve cognitive health outcomes. Intensive blood pressure control would involve a goal of a systolic blood pressure of less than 120 mm Hg. On the other hand, standard treatment would merely try to lower the systolic blood pressure below 140 mm Hg. Study results show that the intensive treatment helped reduce mild cognitive impairment risk by 20-percent. Because of this finding, researchers suggest that intensive blood pressure treatment could lower risk of dementia. However, more studies will need to be done to see if this theory holds true. When it comes to heart health, here are several steps you can take to help control your blood pressure and in turn help the health of your mind. Eat a heart healthy diet: Cut back on sodium, fatty red meats, alcohol, and sugary processed foods for better heart health. Instead, swap out these foods for lean animal or plant-based proteins like chicken, fish, nuts, or seeds. Also, load up on antioxidant-rich vegetables and fruits that also provide gut- and heart-healthy fiber. Move more: Every step counts when it comes to heart health. Try to walk, swim, bike, dance, or do whatever moves you to exercise. Try to move at least thirty minutes total a day most days of the week to help keep your weight within a healthy range and your heart strong. Sleep enough: During sleep, your body takes care of a lot of internal business. One piece of business is regulating fluid and hormones in the body. If interrupted this can have a negative impact on blood pressure. This is why most adults should sleep at least seven to nine hours a night most nights for optimal health. Quit smoking: Smoking can constrict blood vessels and in turn narrow them and increase risk of blood pressure. Therefore, if you smoke, be sure to visit smokefree.gov for resources on how you can quit today to help your heart and brain health. Take a heart healthy supplement: Along with these lifestyle changes, it also never hurts to add a heart healthy supplement to give your heart health the upper hand. One such supplement is Circova by Vita Sciences. Circova contains ingredients like L-arginine, niacin, and hawthorne that help to naturally improve blood pressure and blood flow. Is there a link between diabetes and depression? Depression on its own can be a very challenging condition to deal with. This diagnosis not only affects the mind, but can affect the body as well. It can make everyday tasks difficult to deal with such as sleeping, working, and even eating. Because of the effect of depression on eating behaviors, weight gain or loss can occur through appetite changes unrelated to diet. Not only that, but because of the many lifestyle changes that come with a diabetes diagnosis, depression is seen two to three times more often in such patients than those without diabetes. A recent study looked at how diet and exercise factors can affect the relationship between depression and metabolic syndrome. We all may feel depressed from time to time. However, a diagnosis of depression is a chronic display of such feelings that can affect daily life, relationships, and can cause both psychological and physical symptoms. If the following symptoms occur for two weeks or more, then you should see a doctor for possible diagnosis and treatment of depression. Conditions related to the thyroid, nutrient deficiencies, or tumors of the brain can mimic symptoms of depression. Therefore, such underlying causes should be ruled out by a qualified healthcare provider. Metabolic syndrome is the name for a group of risk factors that can increase a person’s risk of chronic diseases like diabetes and stroke. Research shows that there is a relationship between those with depression and metabolic syndrome. A recent study looked at this relationship to see what exactly is causing it. Researchers looked at data from over 64,000 adults. Study results show that those with depression are highly linked to a high fat, high sugar diet regimen and low levels of physical activity. Researchers suggest that diet and exercise may link depression and metabolic syndrome. However, they also state that inflammation and genetic factors have a greater causal link between the two conditions. Inflammation can develop as a result of the stress on the brain due to depression that may cause an imbalance in gut microbiome. This link is a theory known as the gut-brain axis. This in turn, could cause inflammation in the body that could increase risk of chronic diseases like heat disease and diabetes. Besides diet and exercise, you can use the tips below to help lower your risk of metabolic syndrome. Add more fruit and vegetables to your diet: More fruits and vegetables means more antioxidants. And more antioxidants in your diet means more anti-inflammatory power. In turn, you can help reduce inflammation in your body by adding more colorful fiber sources to your plate at each meal. Move more: Exercising at least 30 minutes a day for most days of the week can help you manage your weight. It can also help you manage stress and strengthen your heart. All of these factors can help reduce inflammation in your body and lower chronic disease risk. Stop smoking or never start: Smoking can constrict blood vessels and in turn can increase heart disease risk. Therefore, if you already smoke, visit Smokefree.gov to quit. If you have never started smoking, then don’t. Your body will thank you. Take a daily supplement: If you are deficient in nutrients, then this could put you at risk for conditions like depression that have an inflammatory link. Certain supplements can also help you gain better control over your blood glucose levels too. Glucarex by Vita Sciences is one such supplement that uses chromium, alpha lipoic acid, and cinnamon to help support weight loss, metabolism, and blood glucose levels. American Psychiatric Association (January 2017) “What is Depression?” Physician Review By: Ranna Parekh, M.D., M.P.H. Matta J, Hoertel N, Kesse-Guyot E, et al. (2019) Diet and physical activity in the association between depression and metabolic syndrome: Constances study. J Affect Disord., 244:25-32. 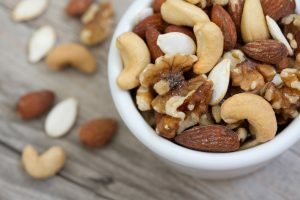 Can healthy fats help your anxiety? An essential part of a heart healthy diet is plenty of plant-based unsaturated fats. Not only do plant-based foods provide heart-healthy fiber, but they are also rich in antioxidants. These antioxidants can help reduce inflammation in the body, and in turn reduce chronic disease risk. One such group of antioxidants are the omega-3 fatty acids found in such foods as avocado, plant-based oils and fatty fish. 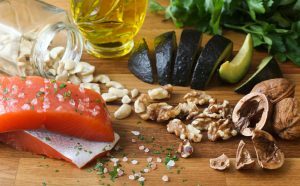 Recent research shows that these healthy fats may be able to help with mental health. 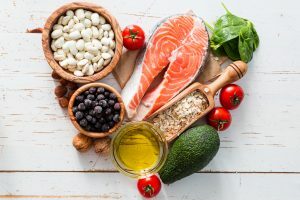 A recent study shows that by increasing the amount of healthy fats in your diet, you could help reduce symptoms of anxiety. Healthy fats typically describe the group of fats known as unsaturated fats. These fats can be found in plant-based foods such as avocado, nuts, and seeds. They can also be found in plant-based oils like olive oil and fatty fish like salmon and trout. Research shows that by replacing some of your saturated fat intake with unsaturated fats, you can benefit heart health. The cause of this is still unknown, but it is suggested that it may be due to the fiber and antioxidants in such unsaturated food sources. A recent meta-analysis study looked at research done on omega-3 fatty acid supplementation and mental health. Study results show that those with clinically diagnosed anxiety may benefit from treatment with omega-3 fatty acids. This is because treatment with such fats seemed to reduce symptoms of anxiety under stressful situations. Even those who suffered from other diagnosed mental health conditions outside of clinical anxiety showed reduced anxiety symptoms after such treatment. Although more research needs to be done to confirm such findings, these results are promising for future potential treatment options for anxiety. In the meantime, it can’t hurt to add in more healthy fats to your daily diet. Also, an omega-3 fatty acid supplement could be helpful to healthy of the body and mind. An example of such a supplement is fish oil like that by Vita Sciences. This formula by Vita Sciences provides 400 milligrams of EPA and 300 milligrams of DHA, which are omega-3 fatty acids found in cold water fish. This supplement is a great way to get your healthy fats if you don’t think you will be able to get them in every day in your diet. Besides increasing healthy fats in your diet, there are other ways you can work to reduce anxiety in your daily routine. Make sure to sleep enough each day: The average adult should receive at least 7 to 9 hours of sleep every night. Sleep is important not just for energy levels, but for regulating fluid, hormones, and blood pressure in the body. Lack of sleep can also increase risk of anxiety and stress levels, especially in those that already suffer from anxiety. If you have trouble sleeping, visit the National Sleep Foundation website for tips. You should also visit your healthcare provider if you find that your sleep problems become a long-term problem. This is because you may be suffering from a condition known as sleep apnea that can affect quality of sleep and breathing. A healthcare provider can also help you manage pain, urinary incontinence, or insomnia that can impact sleep quality and quantity. Talk to someone: Talking to a health care professional like a therapist or counselor can help you come up with strategies for dealing with your stress or anxiety. Even just talking to a friend or loved one may be helpful to get worries off your mind. Find time to relax: Try to set aside at least 15 minutes a day to relax. This relaxing could include relaxation breathing, diffusing calming essential oils like lavender, or engaging in activities like yoga or meditation. Volunteer in your community: Helping others in your community may be able to increase your sense of purpose and help you meet others with similar interests. 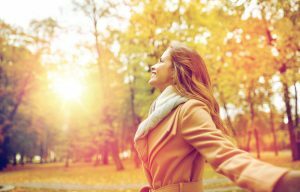 In turn, these factors may help lower your stress and anxiety levels over time. Stay active: Regular exercise each day can help reduce anxiety levels. This may be due to the vitamin D you get from working out in the sunshine. Also, it could be from the serotonin your body releases when you exercise. Either way, get moving each day and it can make you feel better inside and out.